Catch up with #10 here. I know I have seriously been slacking with these posts and I'm sorry! But the travel diaires are back and I will be hopefully posting lots in the upcoming months! I love doing these as they bring back so many amazing memories and also I'm hoping it's going to get me excited for my trip to Florida /i just book for September - woohooo! 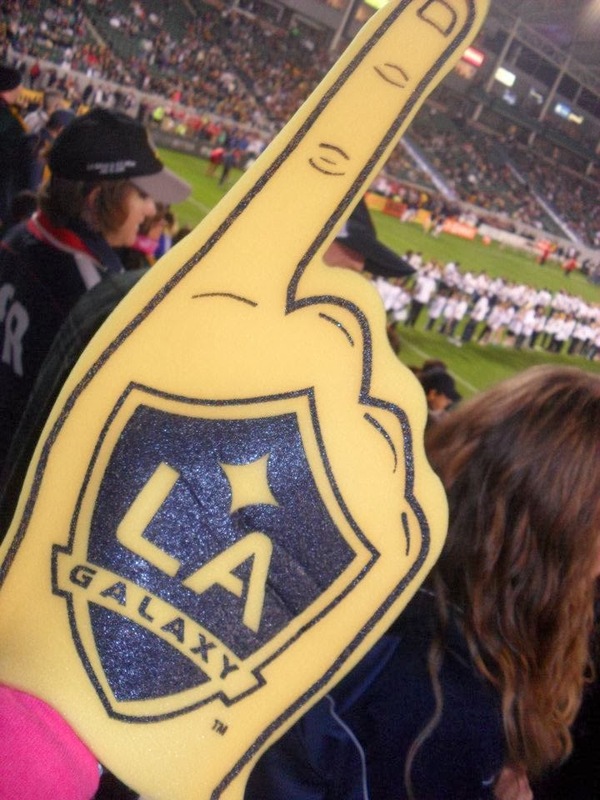 Now we had something planned for today, something we had booked and paid for months and months - we were off to watch LA Galaxy play... aka Hello David Beckham! But as that wasn't until the evening we had a whole day to entertain ourselves - and we were in Hollywood so this wasn't going to be hard to do! 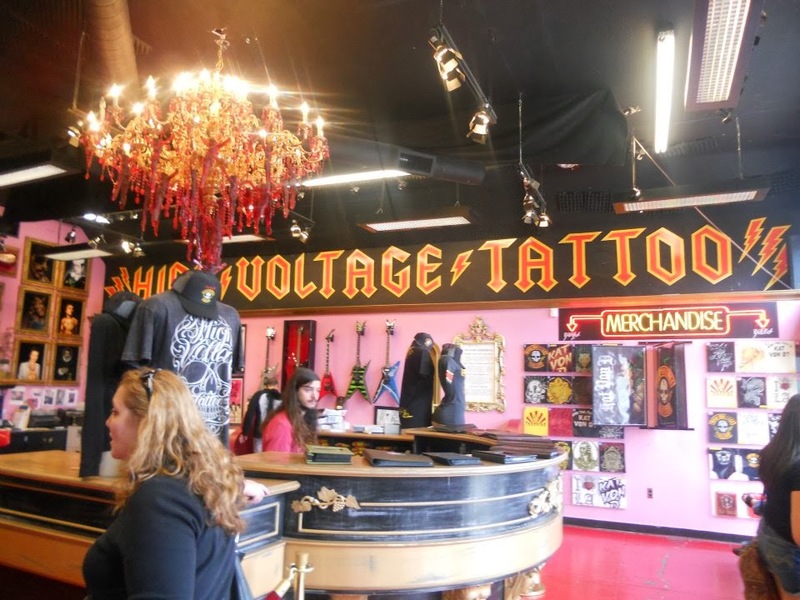 Being reality TV addicts, LA Ink aka High Voltage Tattoo Palour was on our is of places to go and see so it was down to me, my iPhone 3GS and google maps! And thankfully it worked! I love our walk down to LA Ink, we saw so many iconic Hollywood things including the Muppets studios and Mel's drive in! After doing the classic standing outside and posing for a photo we headed in, we were a bit dubious as we weren't sure whether it was okay to just go in and have a mooch around with no actual intention of getting a tattoo but we saw other people in there so went in! It's always bizarre seeing something you've seen on TV for years and years and it really was as cool as it looked on there! 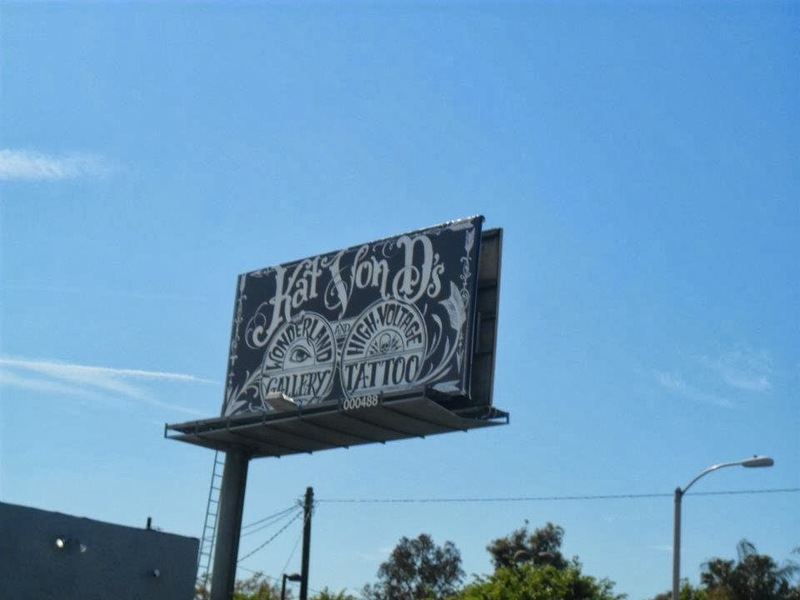 Everyone in there was super nice and even asked if we wanted to get a tattoo, which to this very day I regret not doing, but at the time it was very unexpected so I had just said ...ooo I'm scared haha! After High Voltage we went next door to Kat Von D's store - Wonderland Gallery! Such a funky little store with not only lots of Kat's merchandise but jewellery, books and lots lots more! Again the staff in there were so lovely and we had a nice chat with them! Once back on Hollywood Boulevard and after eating a Subway we decided to carry on walking and have a look around - needless to say... there are alot of tattooists and people smoking cannabis. After that realisation we thought we'd go back to the hotel and get ready for our exciting evening ahead! We ordered a taxi through the hotel and for an hour or two before the match was due to begin - we knew how crazy LA traffic was and wanted to have a little look around the grounds before the match started so the earlier the better we thought! As the grounds were down in Carson (I think that's what is was called) it took about 30minutes maybe even 40 to get there BUT we were highly entertained by our lovely taxi driver HARRY! 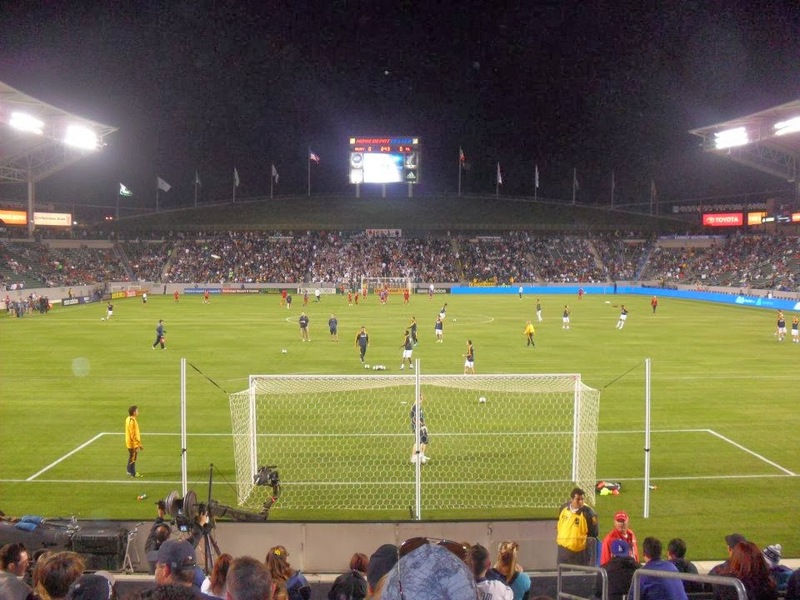 So we were there - The Home Depot Center and not only was I excited about experiencing an American "soccer" match but it was my friend's first ever football match so I was looking forward to her thoughts on it all! 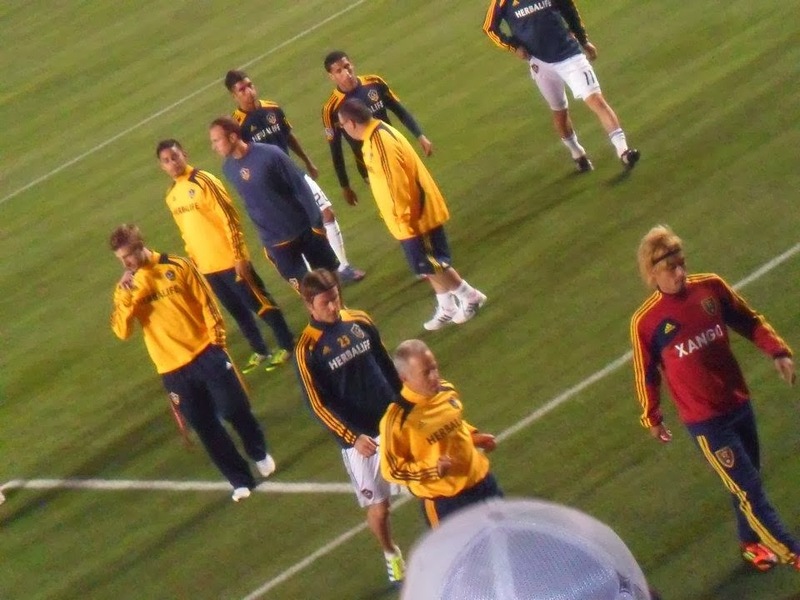 The match was the first one of the season and against Real Salt Lake and ..... they lost. Opps! 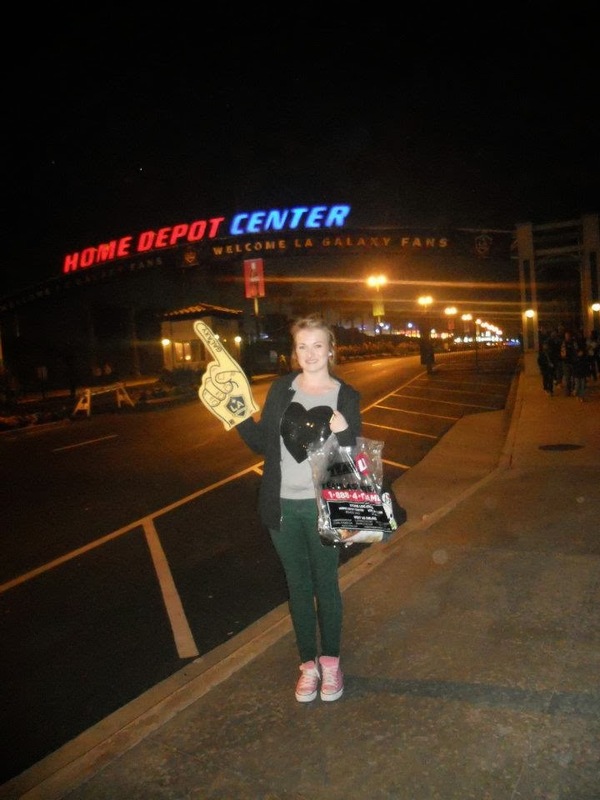 But it was a good match, we met some lovely people in the crowd and we got to see Becks up close - happy bunnies we were! Another great experience on our trip - I love that we planned so much in advance! Next time on Kirstie's Travel Dairies : A hop-on, hop-off tour of Hollywood, Millions Of Milkshakes, The Grove & The Chinese Therate - another magical day in LaLa Land!